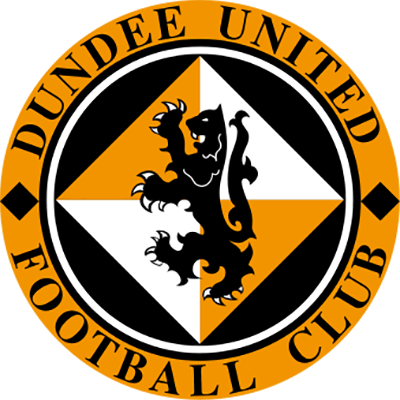 A third place league finish and Scottish Cup glory the previous season had clinched European football for Dundee United for the first time in five years. 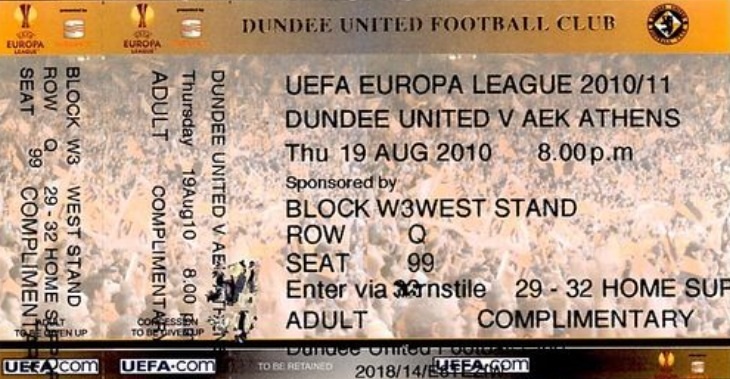 Over 12,000 fans crammed into Tannadice as the Terrors lined up against Greek side AEK Athens in the first leg of their third qualifying round Europa League tie. 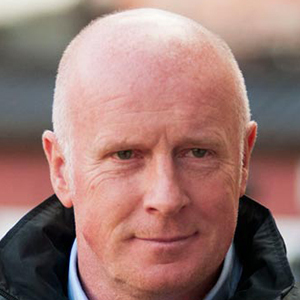 Peter Houston made one change to his starting line-up from his side's 1-1 draw with St Mirren at the weekend: Keith Watson replacing Darren Dods who dropped to the bench. 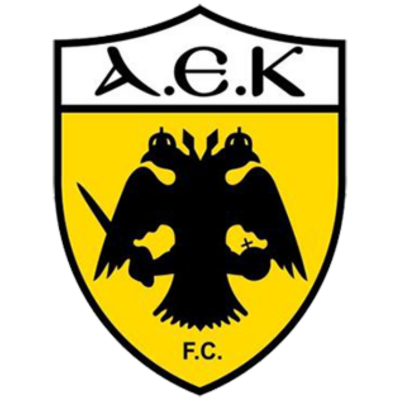 AEK took control of the game and looked the more comfortable side from the start. The away side - playing in their blue away strip - were first to get close to the opposition goal after eight minutes when good link-up play between Lymperopoulos and Leonardo allowed Kafes into the six-yard box but the man wearing the number one shirt could only poke a weak shot at Pernis. The Greek side did take the lead two minutes later as they caught United somewhat on the counter-attack down the left. Ignacio Scocco saw his initial shot blocked but retained possession to fire the ball right across goal into the path of Rafic Djebbour who slid in at the backpost to force the ball high into the top corner of the net. United's first chance came when David Goodwillie found himself wide on the right and his cross was met by captain Daly but he could only head it well over the bar. The rest of the half was played out as United failed to put any flowing football together. It was the second half before United finally gave the crowd something to get out of their seats for after 52 minutes when Conway did well at the corner flag before cutting inside and powering a shot at goal that was blocked by a well-placed defender. United were now playing at a higher tempo and managing to get round the Greek defence but the threat from AEK was always there. Two former Premiership men were introduced with ten minutes to go as Papa Bouba Diop came on for AEK while Peter Houston replaced Scott Robertson with Danny Cadamarteri as he desperately pushed for a vital equaliser. It nearly came seconds later as United had what was to be their best chance of the game. Paul Dixon managed to find Daly unmarked in the box but, perhaps not realising how much time and space he had, the United captain turned quickly and scuffed his left-foot shot harmlessly wide. The Greek side did enough to hold out for a clean sheet and put themselves in pole position going into the second leg in Athens. 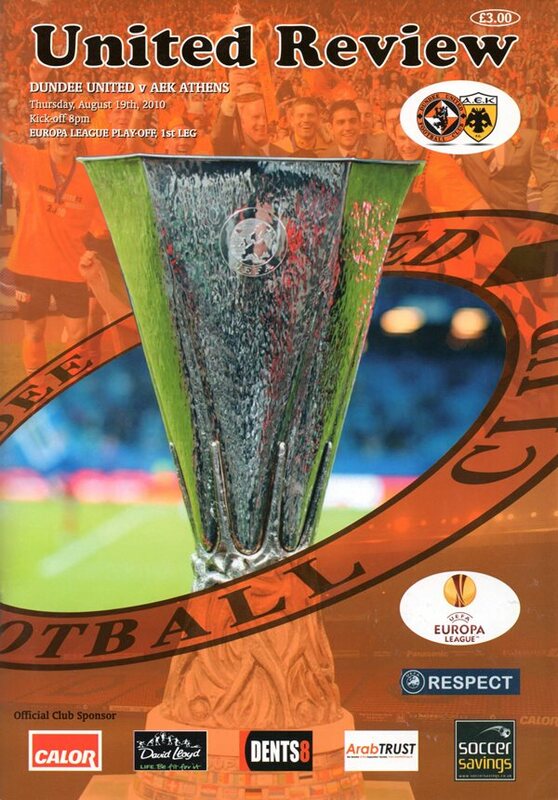 Welcome back to Tannadice tonight for the first competitive match of the season and we couldn't wish for a better start to the campaign than a return to Europe against a major side like AEK Athens. Whilst this is my first time as a manager in Europe, however, it's far from a new experience for me having worked as Craig Levein's assistant when Hearts were involved. So I have played my part in trying to, and on some occasions successfully, plot the downfall of other big names In Europe. And whilst most managers prefer to play away first, don't include me amongst them. Whilst at Tynecastle, we eliminated Zeljeznicar Sarajevo after winning 3-0 at home and drawing 0-0 at home. The following season, we qualified for the Uefa Cup stages by beating Braga 3-1 at Murrayfield and drew away to go through. Yet when we defeated Bordeaux in France in the first leg by the only goal of the game, we went down 2-0 to them at Tynecastle. Consequently, those results have shaped my thinking, and I'd far prefer to head for Athens next week with something to hold on to. From that involvement, I am also only too well aware of the contrasting styles. Whether it is internationally, or at club level, continental teams play a different style. They pass the ball more and keep the ball really, really well and in the last third that is at an increasingly fast tempo. And that is in stark contrast to the game in Scotland where we like to get the ball forward and into the box as quickly as possible. So we are under no illusions just how hard a task lies ahead of us. But I look at the way our players have done last season. Some of our football was terrific, even when we didn't win. For example, in one of the games at Tynecastle, we passed the ball around really well, the only trouble was that we didn't score, which included missing a penalty. That demonstrates that even when we might not be at our best, we still try to create by passing. A lot of people have tagged us as a physical side, knocking the ball back to front for the big boys, but even with Jon Daly in the team, we are far from being one-dimensional. Perhaps Jon isn't given the credit he deserves because one of his talents, which I admire is his link up play. In addition, he anticipates players running off him, which is why his partnership with Goodie is so profitable. That means we have more than one string to our bow, because while we can go from back to front searching out Jon, but with Prince, Morgaro and Scott Robertson, Danny Swanson and Conway, equally, we have the kind of players who love playing through the middle. So it is promises to be a fantastic experience for the players and our fans, but as we know only too well, a very difficult tie against a team that has always gone through in all their previous ties against Scottish clubs. We worked very hard to get into Europe and we aren't going to throw away the chance of getting through to the group stages and are more than capable of giving AEK Athens problems. Our preparation for the Scottish Cup Final against Ross County was meticulous and it will be exactly the same for this tie. That entails a detailed study of their system and their main men and from that we'll try and come up with something appropriate. Naturally, we want to score, but without tossing caution aside and leave ourselves open, so patience for both the players and our support is the key tonight.